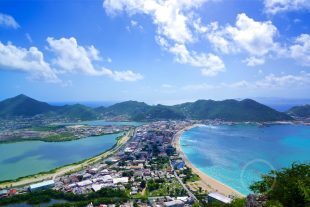 Sint-Maarten | Sovereign state in Kingdom of the Netherlands | Capital: Philipsburg | Population: 40.000 (in 2013). Saint-Martin | Overseas region and department of France | Capital: Marigot | Population: 32.000 (in 2015). Saint Martin is a very small island and important hub in the Caribbean. This particular island is also a division of countries since 1648. 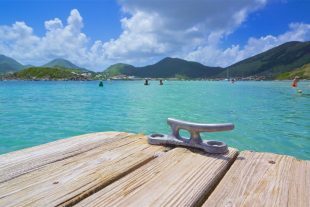 Due to a twist in history it is the only place in the world where The Netherlands (Sint-Maarten) still borders with France (Saint Martin).